-A fully immersive experience, the pop-up will take its visitors back in time to interact with decade-relevant products, music, TV and fashion. -The series of themed spaces include a Koosh ball pit, Nickelodeon Double Dare photo moment, a SNICK Lounge and a throwback bedroom. 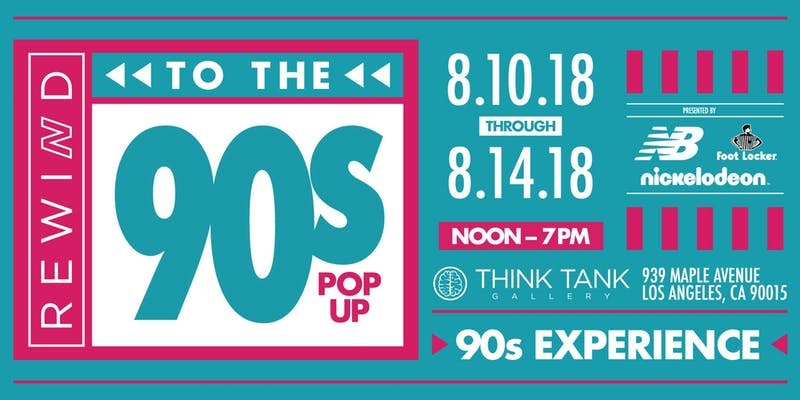 -Visitors of the 90's pop up will have the unique opportunity to step inside a capture studio and be transformed into holograms. -Upon exiting the room, each guest will be able to view their 90's themed hologram projected into custom-designed holographic displays. -Rewind to the 90's is free and open to the public, all ages welcome. 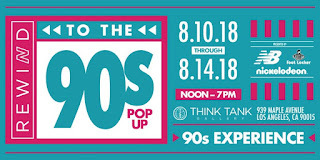 From 12pm to 2pm daily there will be free 90's themed snacks and treats to enjoy (while supplies last). -Following that at 5pm to 7pm daily, there will be video game head to battles and the winner recieves a new pair of the New Balance X-90's!